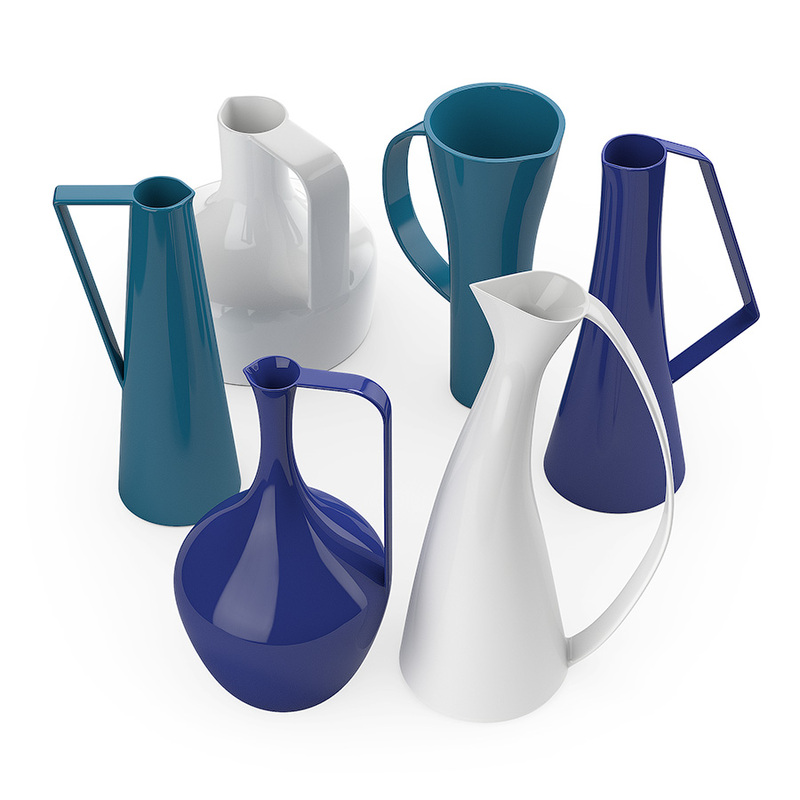 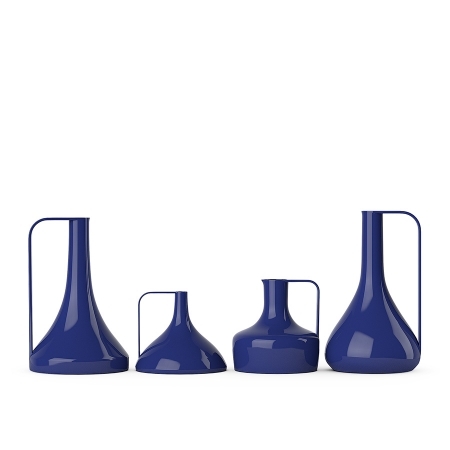 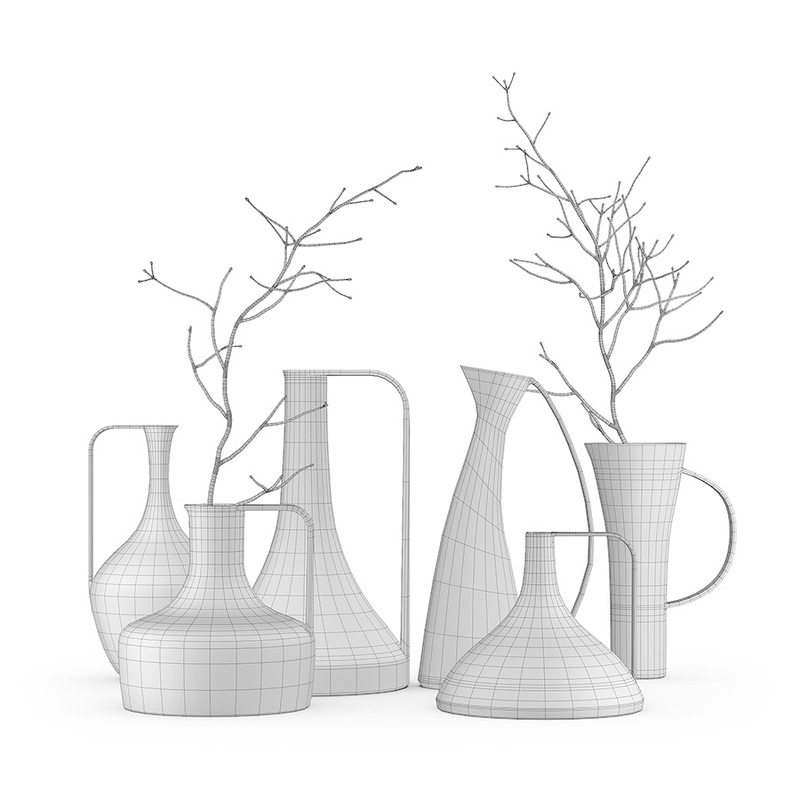 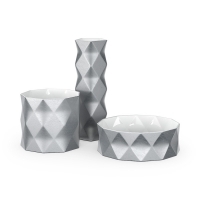 High quality 3d models set of vases. 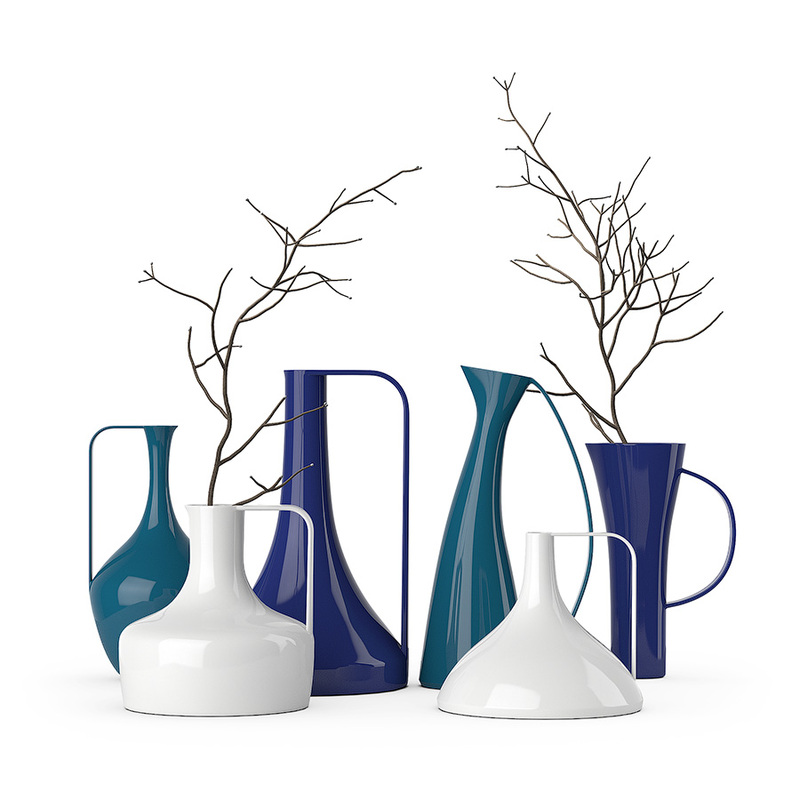 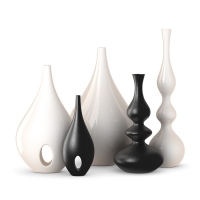 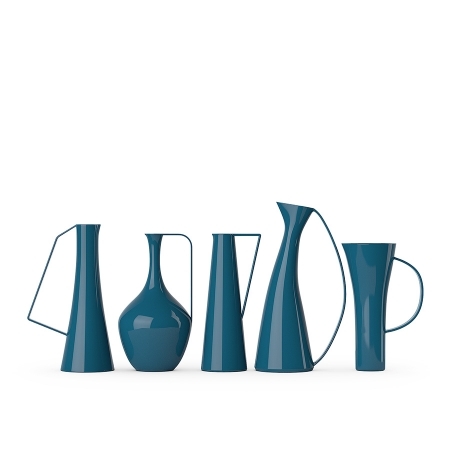 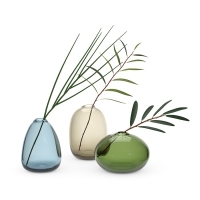 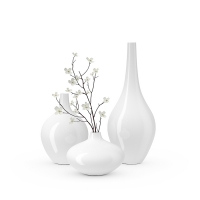 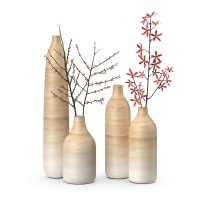 The set includes 9 different vases with branches. 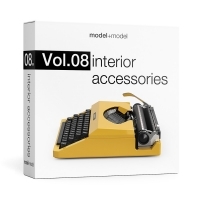 The models are made with attention to details. 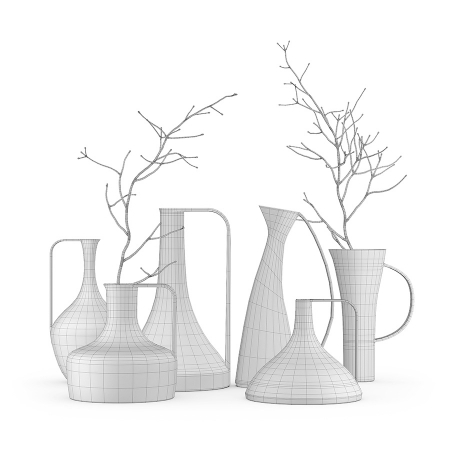 They have small amount of polygons and accurate wireframe.